Home » PUP Potentially Unwanted Propgrams » What means PUP.Optional? The term PUP.Optional is related to (potentially unwanted programs) and such programs are often installed without the knowledge of users. Free software categorized as PUP.Optional include adware, spyware, toolbars, browser hijackers and many other unwanted or harmfull applications. A PUP is technically not virus, but it does exhibit plenty of malicious traits, and many users have no idea where such PUP.Optional threads did come from, so it’s not surprising at all that most of them assume that it is a virus and that is the main reason why antivirus industry generally refers to (potentially unwanted programs). All of the PUP.Optional related apps are typically installed on your computer after you have installed free software with a custom installation file, also known as a wrapper. 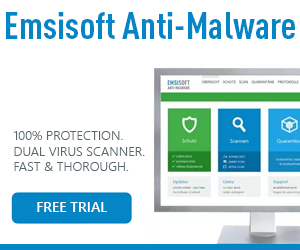 Many download sites like CNET, Brothersoft or Softonic) provide that kind of free software, and install additional software on your computer without your knowledge. You should always be aware when installing free software because often, a software installer includes optional installs, such as the PUP.Optional related items. Be very careful what you agree to install, and always check the End User License Agreement (EULA) for optional software, bundled adware, spyware, toolbars. Use preferably always the custom installation instead of standard installation and deselect anything that is not familiar, especially optional software that you never wanted to install on your computer in the first place. This page “What means PUP.Optional?” is also a comprehensive guide, which will remove any PUP.Optional related item from your computer and browsers like Internet Explorer, Firefox and Google Chrome. After the restart in Normal mode, start Malwarebytes Anti-Malware again and perform a Quick scan to verify that there are noremaining threats. To start HitmanPro in Force Breach mode, hold down the left CTRL-key when you double click on HitmanPro and all non-essential processes will be terminated, includingthe malware processes. What does PUP optional mean regarding a virus?